Here’s one of the quickest pesto sauces you’ll come across. 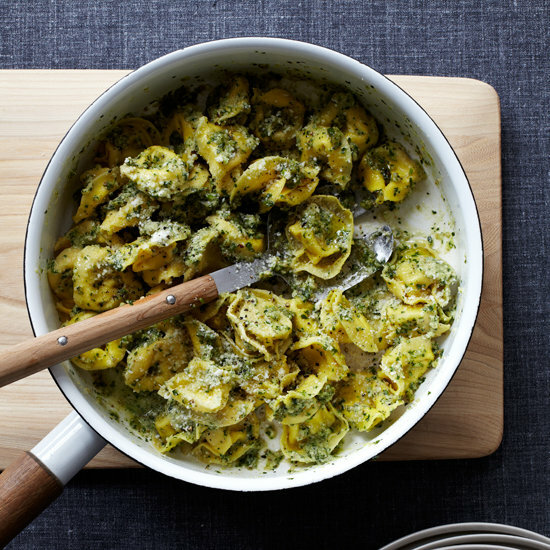 It’s a perfect match for cheese tortellini, but you can use other tortellini such as mushroom or meat instead. The pesto is also great with just about any plain pasta. Look for a crisp, acidic white wine to cut through the richness of the walnuts. A Sauvignon Blanc.